This book introduces the application of microeconometric methods for modelling various aspects of economic activity for small to large size enterprises, using methods that are based on both time-series and cross-section approaches. The information obtained from using these estimated models can then be used to inform business decisions that improve the efficiency of operations and planning. Basic models used in the modelling of the business (single-equation and multiple-equation systems) are introduced whilst a wide range of economic activity including major aspects of financial management, demand for labour, administrative staff and labour productivity are also explored. Introduces econometric methods which can be used in the modelling of economic activity and forecasting, to help improve the efficiency of business operations and planning. Describes econometric entities through multiple-equation and single-equation microeconometric models. Explores the process of building and adapting basic microeconometric tools. Presents numerous micromodels based on time-series data and statistical cross-sectional sequences, which can be used in any enterprise. Features numerous real –world applications along with examples drawn from the authors own experience. Is supported by a companion website featuring practice problems and statistical data to aid students to construct and estimate micro models. Features end of chapter exercises with examples present in free software GRETL. 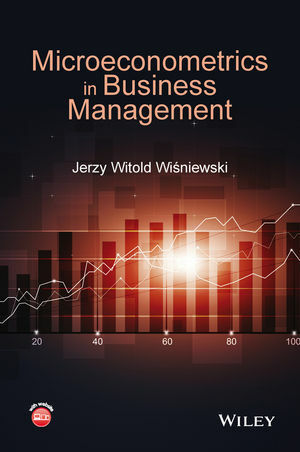 This book serves as a valuable resource for students, business management practitioners and researchers in econometric micro-model construction and various decision-making processes. Jerzy W. Wiœniewski, Department of Econometrics and Statistics, Nicholas Copernicus University, Poland.